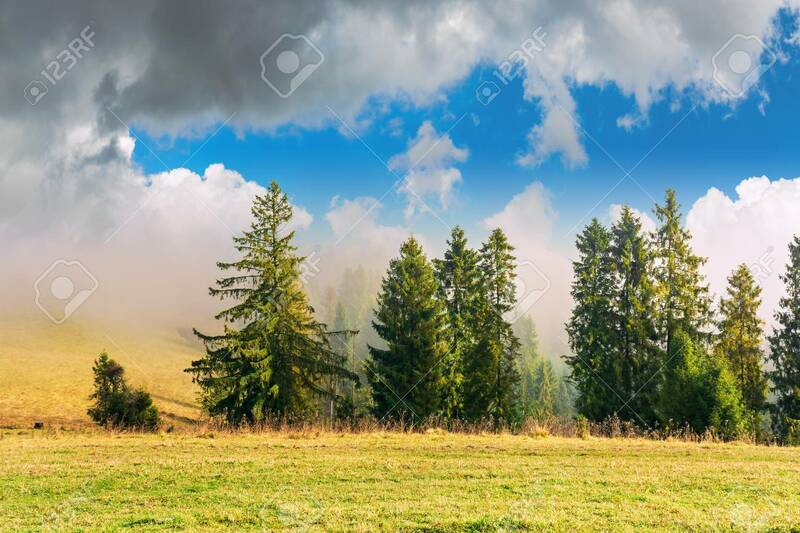 Coniferous Forest On The Hillside In Fog. Fir Behind The Meadow.. Stock Photo, Picture And Royalty Free Image. Image 117778433.